International Tales | Cordblood banking - Secrets of stem cell technology revealed! 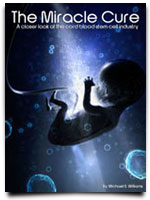 AusCord is an Australian cord blood bank funded by the government. For the reason that it does not provide cord blood for research purposes unless it is needed for clinical use, insufficient supply is experienced by numerous medical researchers in Cerebral Palsy Alliance. Dr. Iona Novak is the head of the said association and she sincerely encourages more parents to store their newborn’s umbilical cord in private banks. The procedure costs around $3000 and if the numbers of stored units will improve, the research on stem cell research will also get a boost. ”We know that, at the moment, there are about 40 children with cerebral palsy with their own blood banked in Australia, which is not that much to do a study with,” Dr Novak said. 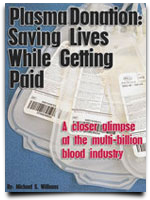 Mark Kirkland is an associate professor in CellCare, a private blood bank. He confirms that there are few privately banked cord blood samples in Australia and these units must be used for research. Dr. Ngaire Elwood is the chairwoman of AusCord and she will look closer into the situation and will find a way to meet the needs of stem cell research once the system for utilization is fixed. There will be a time when India shall not only the hub of outsourcing businesses but it will also be the largest collector of umbilical cord blood in the world. As of the moment, there are twelve licensed cord blood banks in the country and three of this number belongs to the public sector. This is quite a small number to start into, especially for public donation, but the collected samples already reached as high as 50,000 in October. The demand for cord blood has been on the rise but recent surveys show the number of cord blood transplants in India is very low. This is primarily because of the cost. 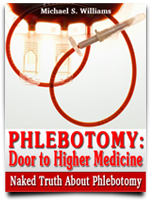 The entire transplant procedure is very expensive and a lot of people can’t afford it. The country’s government must also expand the limited number of facilities for the preservation of stem cells.